NOTE: You can use nonfat milk instead of whole milk and the recipe will still work great! 2. Combine the milk and the cream of mushroom soup into a 2-qt. casserole dish. Stir this with a fork until smooth. Add black pepper, green beans, and 1/2 the can of French onions and stir into soup mixture. 3. Bake casserole at 350 degrees for 30-35 minutes or until bubbling. 4. 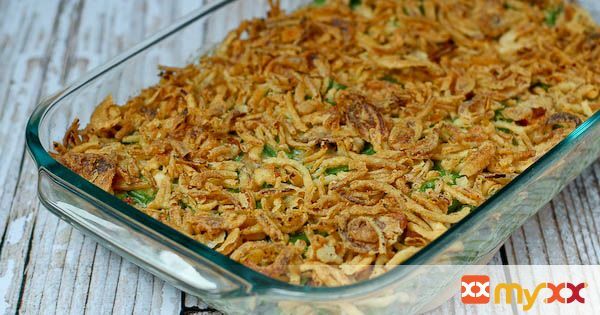 Remove from oven, sprinkle remaining onions evenly on top, and return to oven for another 5-10 minutes or until the onions are a golden brown.